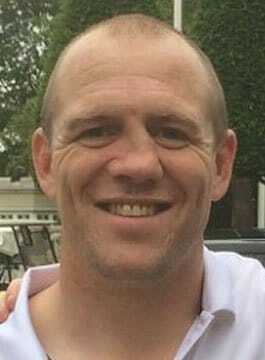 Mike Tindall MBE is a former professional rugby player with caps for England, Barbarians, Bath RFC and Gloucester RFC. Mike’s premiership career spanned 17 years, joining Bath RFC at just 18 years old. Following 8 years at the Rec with Bath RFC, Tindall moved to Gloucester RFC. At the age of 21, Mike made is international debut for England against Ireland at Twickenham. Mike was a core member of the 2003 Rugby World Cup winning squad and later went on to captain his national team. He was selected for the Barbarians squad on their tour in May 2012 against England, Ireland, Gloucester and Wales. In May 2013, Tindall captained the Barbarians against England. Since retiring from professional rugby in 2014, Mike has played for and coached his local amateur club, Minchinhampton RFC. Not being one to shy away from a challenge, in 2015 Mike became a finalist on both The Jump and Bear Grylls: Mission Survive. Mike Tindall continues to hold an active role in sport in a number of ways, such as participating in several sport panel shows, including a regular spot on talkSPORT, featuring as a rugby specialist on BBC Radio 5Live and as a member of the punditry panel on the BBC’s 6 Nations coverage.